We have seen many trend this summer season that are absolutely going to continue through fall. Pixie cuts, loud colors, “on the go” styles — all of these things will be elaborated upon this season! 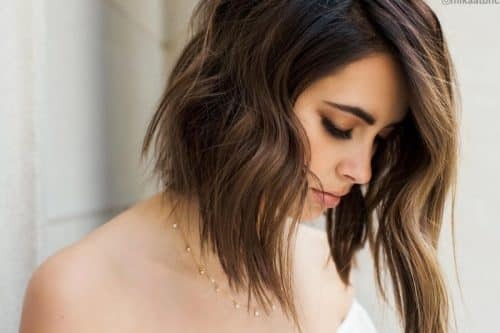 From bohemian waves, to classic tapered cuts, you will be sure to see a refreshing touch to these trending ‘dos. This is fall is all about a heavier bob, using blunt bangs and soft waves to create an ageless style. Using a large round brush and styling crème to create a smooth foundation. Once hair is completely dry, use a large barrel curling iron to add curls to select pieces. Use fingers to loosen curls if needed. Purely Perfect’s Foundation Crème will be the greatest tool for this style. Using just a little bit when the hair is damp, work it from roots to ends before styling with your round brush. Be cautious though as a little bit of this product goes a long way. It will create a gentle texture while keeping the shape instilled. All face shapes are flattered by this look. Naturally wavy hair will benefit from this style as it does not need to be perfect. This is a great time to experiment with different fringe! 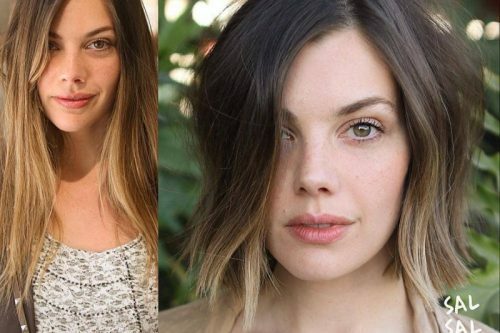 Short and textured or longer and blunt – either will be beautiful. 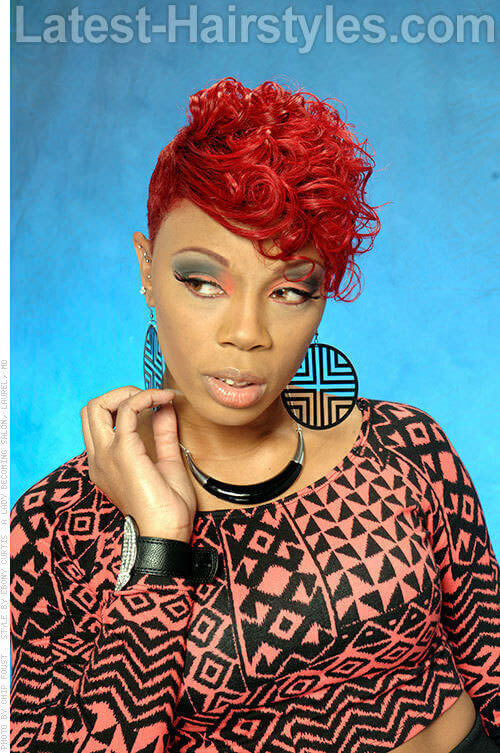 This haircut is a great example of blending natural curls with brightly painted colored sections and unnatural hairlines. This style requires minimal effort! Use a gentle oil or curly hair serum to keep hair soft and full. Bumble & Bumble’s Curl Conscious Defining Crème would be incredible for this style. Apply small amount (penny-sized drop to start) to hands and wrap individual curls around your fingers to keep curls docile. Naturally curly hair works best for this style. For added volume when styling, use a diffuser attachment on your hair dryer to give your roots a lift. 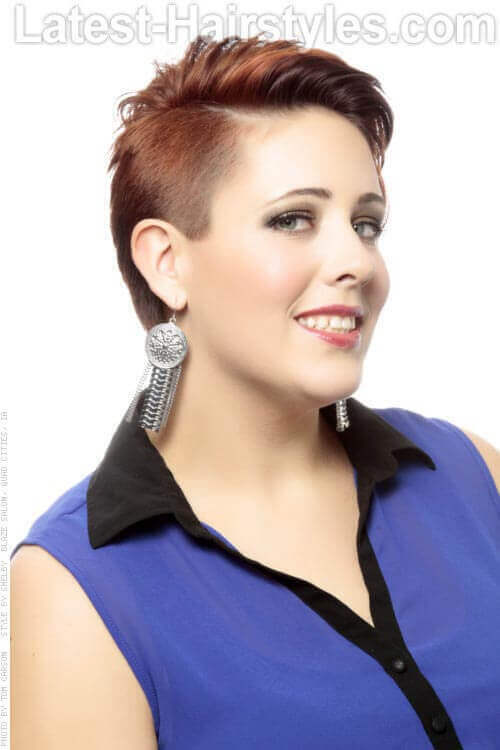 A play on the traditional Mohawk, this haircut utilizes exaggerated texture and subtle asymmetrical/undercut sectioning to keep it fun for all involved! A volumizing mousse is best for this style! Apply product on damp hair and work through with a hair dryer until about 85% dry. Follow up with a flat brush to work remaining product through the ends and gently drying hair up and away from the scalp for maximum volume. If you hair is naturally wavier, you may also need to use a flat iron to smooth out any kinks you may have. Try Bumble & Bumble’s Thickening mousse, but little bit goes a long way! One pump of this product will give you more than enough lift and bend. Try two pumps if you are looking for an extra kick. This haircut is exceptional for those with double processed or moderately chemically treated hair. The texture of chemically treated hair will add to the intensity of this look. This is also a great haircut for those with extremely dense and moderately wavy/straight textures. The undercut sections will help remove some of the extra weight that these hair types may have. When dealing with these tighter undercut sections, ask your stylist if they offer any complimentary clean-up services in between haircuts. You may be able to have those sections tidied up, keeping the look just as fresh. 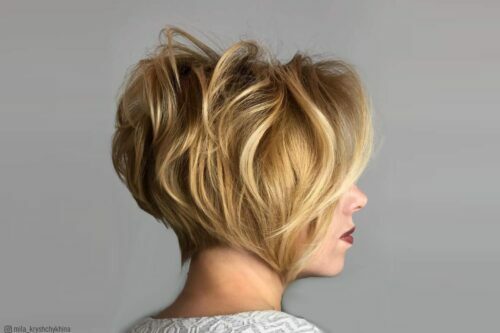 This haircut plays with the gentle aspect of a longer bob, but stays fierce by keeping the hair off the face. You’ll want pinch of gel (spray or squeeze) with the aid of a flat brush to get this job done. After hair has been almost completely hand dried, distribute gel to the roots and mid-shafts of the hair. While blow drying, you may need to section the top separately from the rest of the hair in order to create a little more volume where it is needed along the crown. Use a flat brush to create smoother ends, brushing with the hair dryer away from the face. Organic Color Systems (OCS) spray gel is the best product for this style. One or two sprays is all you need! This is an excellent haircut and style for those with finer hair texture. It will give a great sense of volume and shape without having to work too hard. Using a bit of teasing or back combing at the roots will help add a little bit of stability to the volume you are creating. Just remember to be careful when doing this — you don’t want to look as if you have been electrocuted! 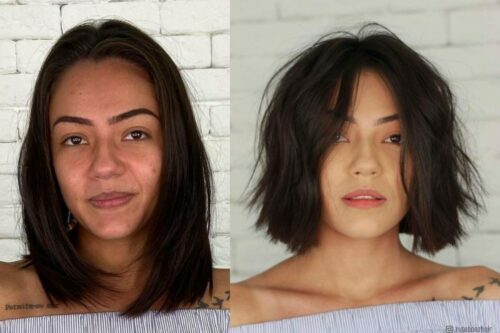 Soft ends and slight face framing take a traditional bob to the next level this season. After some gentle hand drying, use a heat protecting spray in preparation for a slight use of a flat iron. Apply heat protectant to hair when damp, then dry completely using hands and a small round brush if needed). Proceed to flat iron your hair in smaller sections. Bumble & Bumble’s Thickening Hairspray will not only add gentle shine, but it is a great heat protectant! Several pumps from roots to ends will be excellent for styling. Generally all face types are flattered by this look. 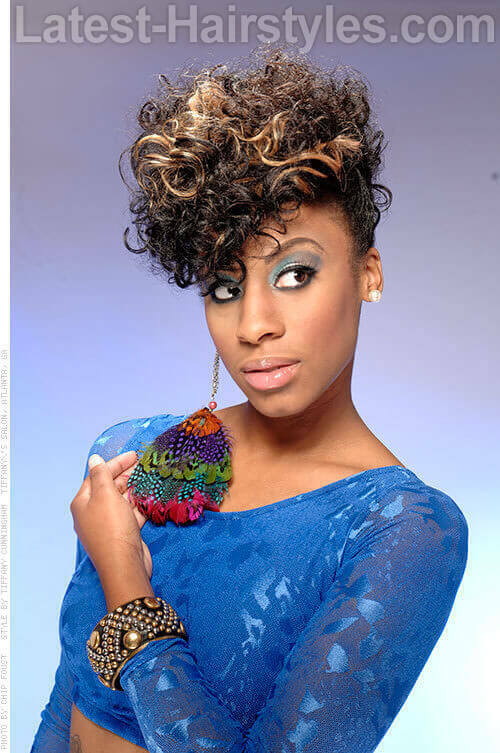 Finer hair textures will find that this is a great look to give extra movement when needed. This is a fabulous haircut that can also be complimented wonderfully by a new fringe! Side swept bangs add an extra bit of attitude if you are feeling daring for fall. 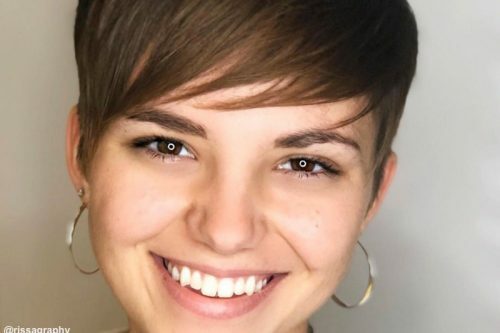 Many different versions of a disconnected short haircut will continue to thrive this season. This is an easy haircut to maintain, and generally an easy one to grow out. Less is more with this particular cut! Blow dry using one or two pumps of a thickening hairspray. Work the product from the back to the front, hand drying with a blow dryer. Do not use a brush until hair is about 85% dry, then work a round brush from roots to ends with the dryer to achieve gentle volume. Bumble & Bumble’s Thickening Hairspray is incredible for haircuts like this. It adds shine and volume without weighing the hair down. One or two sprays at the roots will do the trick. 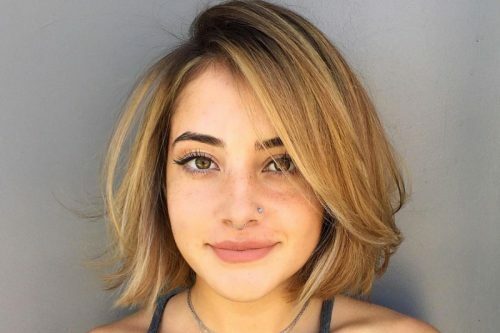 All hair types and face shapes can be flattered by a disconnected short haircut! Clients with finer hair tend to enjoy this haircut because it gives an appearance of a stronger hair density. Do not let the tightness around the perimeter frighten you! Playing with longer hair at the crown, this stylishly edgy look is great for those growing out their short haircut from summer. Pomade rules your world for this haircut! Hand dry strands with your hair dryer and, upon completion, use a fair amount (two quarter-sized drops) of pomade and work it from roots to ends. Start in the back and work towards the front when applying. If you have one, use a fine toothed comb help evenly distribute the product. Hamadi’s Shae Pomade will work wonders for this style. This haircut is exceptional for those with double processed or moderately chemically treated hair. 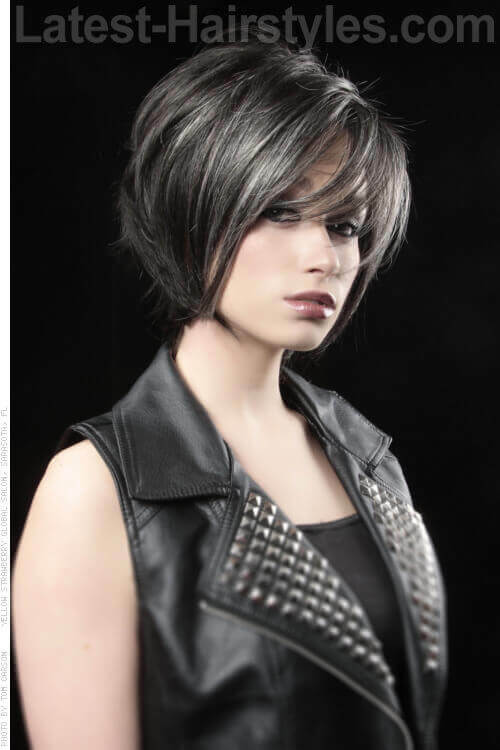 The texture of chemically treated hair will add to the intensity of this look. Stronger square face shapes will also excel in this haircut. This haircut is more about how YOU decide to wear it. It is a style to be worn with confidence, playing with the aspects of your facial features over anything else. Flaunt it! 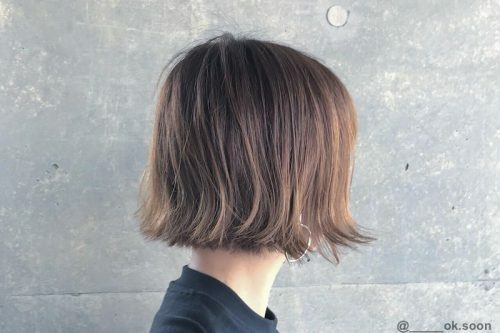 Longer, disconnected shapes through the top portion of the hair and tightness to the sides keep this short haircut aesthetically pleasing. A straightening balm will aid with debunking fly aways while still keeping a sleek and moldable feel. Apply the balm (a penny-sized amount) to damp hair, working through the mid-shafts and ends with a hair dryer and flat brush. Use a flat iron to smooth out select pieces if necessary. Intelligent Nutrients’ Straightening Hair Serum is key! This is a great haircut for those with smaller face shapes. The play on triangular shapes is a great way build a more defined look. 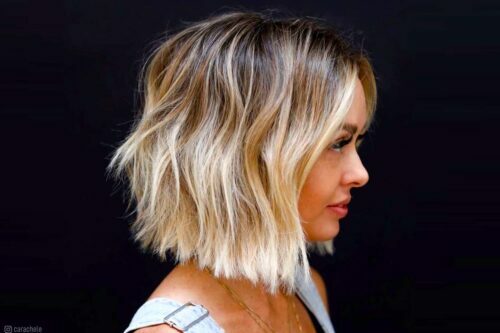 This wavy take on a more simple bob shape is a fabulous short hair option for fall! This look is all about textured imperfection. Using a volumizing spray on damp hair. Work from roots to ends using a large round brush for smooth volume. When hair is completely dry, create larger sections and select pieces to curl with a large barrel curling iron. After hair has cooled off, use your fingers to break up the curls into smaller waves. Bumble & Bumble’s Thickening Hairspray would work wonders on this textured bob. Don’t be afraid to get a little heavy handed when applying product for this particular style. All face shapes are flattered by this style. A finer head of hair may benefit from the amount of added texture and bounce. This style is a great way to exhibit a bolder color choice. Ask your stylist about adding some brightly painted pieces! 10. Big Hair, Little Cut! 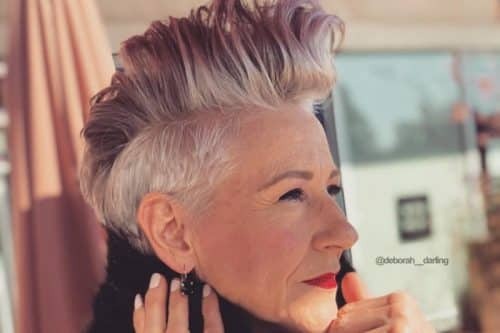 This haircut greatly glorifies the disconnected short haircut family. The shortness of the perimeter can be as dramatic as completely bald if you so decide. The length through the crown adds the ability to play with volume or keep it sleek. Apply a volumizing mousse to damp hair. Use a round brush to blow dry large sections of hair up and away from the face. The more height, the merrier! 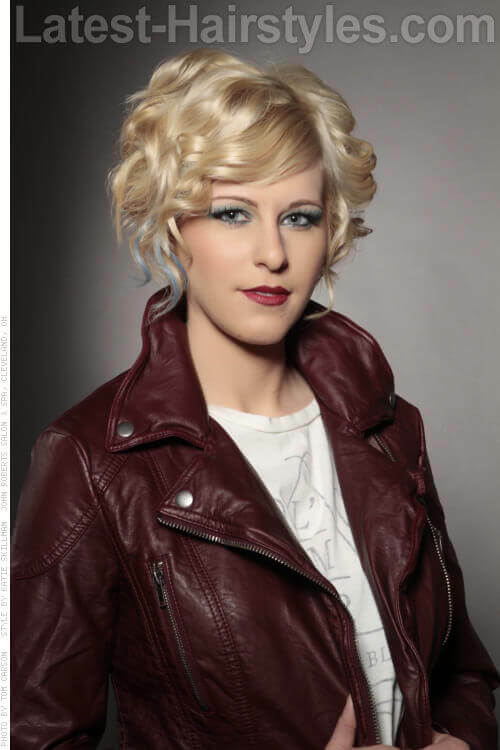 Intelligent Nutrients’ Volumizing Foam will work flawlessly for this style. Use one to two pumps on damp hair. All face types are flattered by this look. 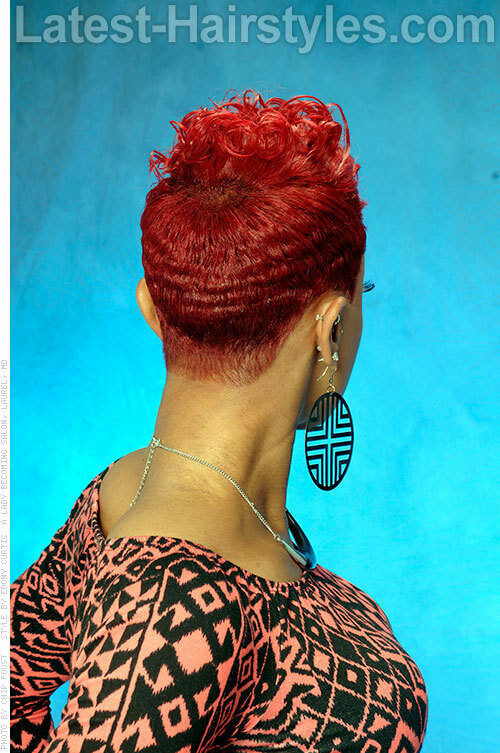 This is another great style for the finer to medium dense hair texture. You can really play around with how full you want the hair to get. 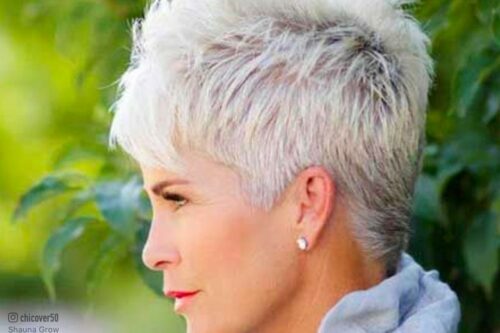 This longer version of a classic pixie cut is hot for fall. Emphasize the hair around the ears for added character. A flat brush is all you need! Gently blow dry with fingers until moisture is almost gone (about 85%). Blow dry the rest of the way with a flat brush, working the hair in different directions to bring out added texture. Bumble & Bumble’s Semi Sumo would be a great addition to this look. It is a combination of a clay and a pomade, making it excellent in aiding the movement of this haircut. A little bit worked into the hair goes a long way. All face types are flattered by this look. Playing with different fringe and sideburn lengths will add even more appeal to this haircut. Don’t be afraid to try a new shape! 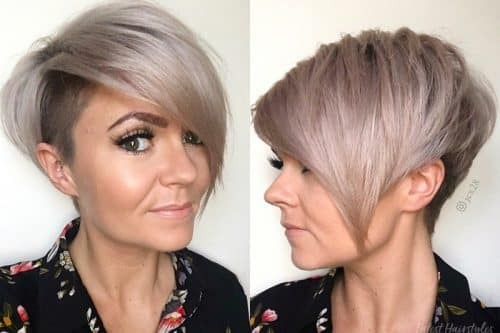 This is a perfect haircut to transition someone growing their hair from a cropped cut that wants a longer look. 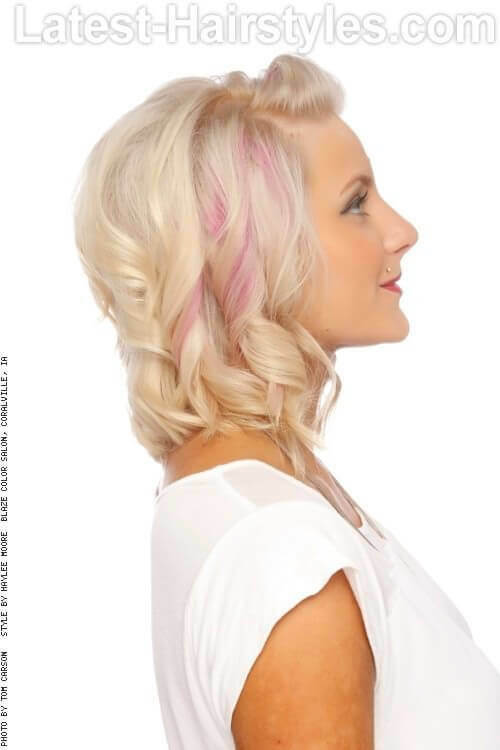 It features tightness at the nape, leaving a gentle over direction of length though the front. On damp hair, apply a styling crème to the roots and ends. Use a flat brush when blow drying to create softness and movement. You may then use a flat iron or smaller curling iron to add curl to selected pieces. Use a quarter-sized amount of Bumble & Bumble’s Styling Crème on damp hair, working from roots to ends. All face types are flattered by this look. The idea of this haircut is to be able to have an easy-to-style look while continuing a growing out phase. 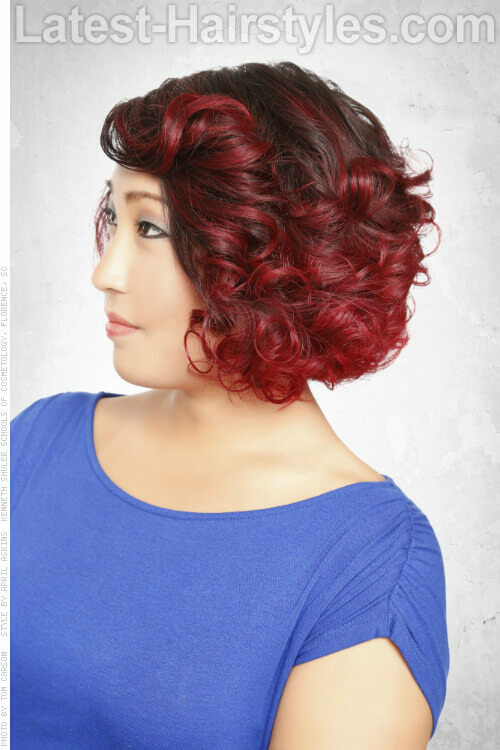 Using natural curly texture, this haircut is great for those who have minimal amount of time to style. Soft longer layers for your curls is the key. Air drying is best. Use a soft curling balm or gentle oil to select the more difficult curls with your fingers. If necessary, using a diffuser attachment on your hair dryer will also be beneficial for drying. Purely Perfect’s Smooth Finish! One to two pumps will help create soft, open curls. Make sure to evenly distribute this product from roots to ends for the best results. Naturally curly hair is best for this look. 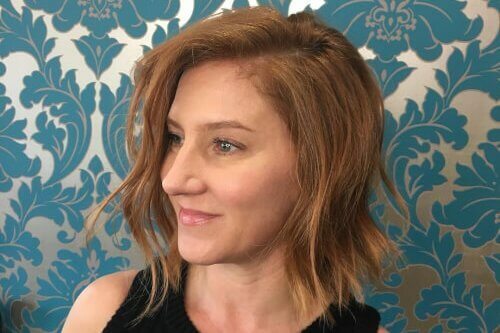 This longer cropped haircut plays on the motion of natural waves to create a chic finish. On damp hair, apply a smoothing serum from roots to ends. Using a flat brush, gently blow dry hair away from face, working with the natural bend in the hair to create emphasis on the wave. Bumble & Bumble’s Styling Crème will help smooth out the kinks without weighing down the hair. All face types are flattered by this look. 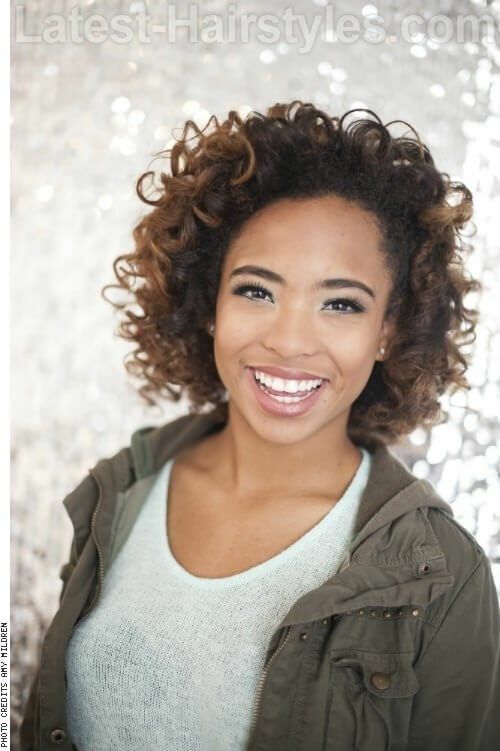 Naturally wavy or curly hair will benefit from this style as the style will elaborate on that texture! Don’t be skeptical about adding a beautiful barrette or head scarf to this style. It can be dressed up or down with ease. 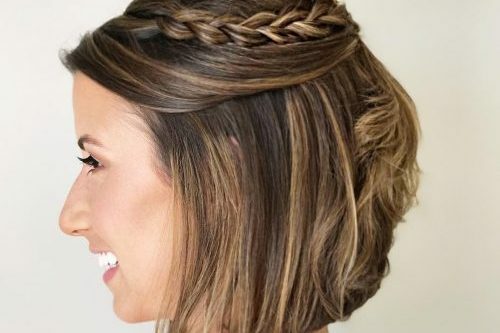 This fall-worthy ‘do features a longer perimeter than your typical cropped cut, with an even greater disconnection at the crown. On damp hair, work a volumizing spray from roots to ends. Use a large round brush to blow dry larger sections away from your face, creating height. This look is truly more about a “bedhead” feel! Bumble & Bumble’s Thickening Hairspray will be perfect for this look. 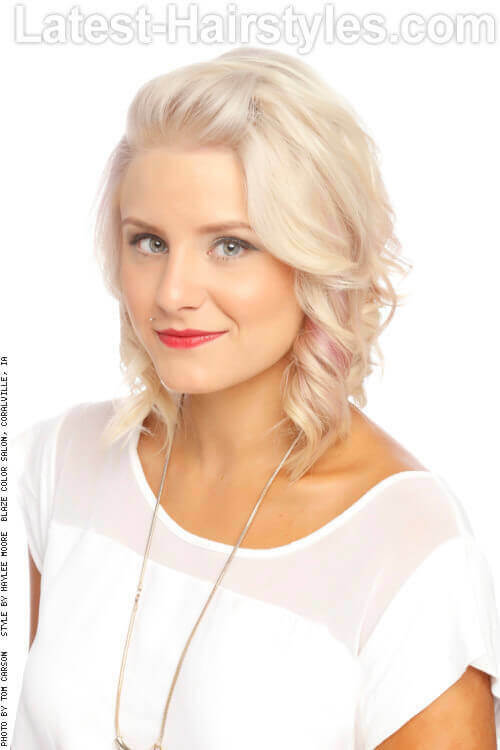 Don’t be hesitant to really work through the thickening hairspray for this particular style. All face types are flattered by this look. Naturally curly hair will need a little more time to style, especially if a more put together end result if desired. 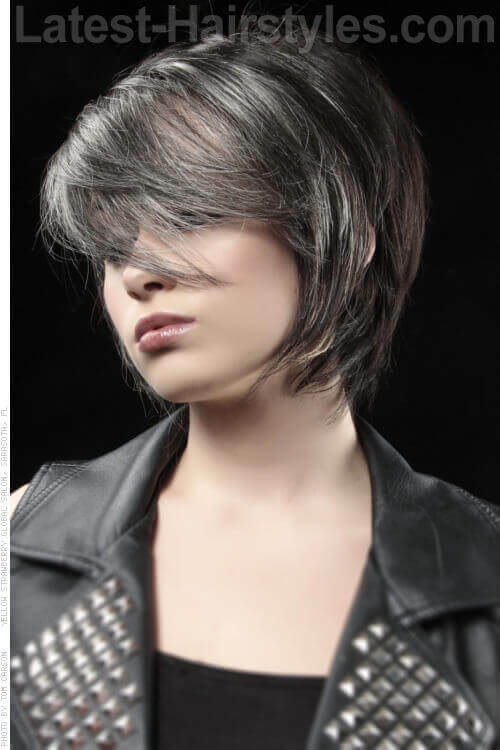 This is another great shorter haircut for those who are transitioning from short hair into longer hair for fall. On damp hair, work a styling lotion from roots to ends. Proceed to blow dry with the aid of a large round brush to create slight height and smoothness. Use a flat iron or medium-sized curling iron to create curls away from the face. Use a bobby pin (or two) to section out the fringe and pin those pieces up and away. Bumble & Bumble’s Styling Lotion! One or two pumps on damp hair will do the trick. It creates a little bit of texture and provides a great foundation for a wavy look. All face types are flattered by this look. Those with coarser hair may need to apply a pinch more styling lotion. This haircut allows you to dramatically emphasize your shape and added texture for the fall season. On damp hair, apply a styling crème from roots to ends. Use a flat brush when blow drying the hair, brushing in opposing directions to create extra movement. Once dry, use a flat iron to smooth any ends as needed. You may also use a molding clay to allow for more of a messy result. Bumble & Bumble’s Styling Crème, accompanied with John Master’s Sculpting Clay, is a dream team for this style. Be careful to start with a small amount of both of these products. Add a pinch more sculpting clay if a tousled look is desired. Stronger face shapes such as square or heart shape will benefit from the uniqueness of this style. Fine to medium hair densities will also love the exaggerated shape that this style will give them. Bold is best for this look. 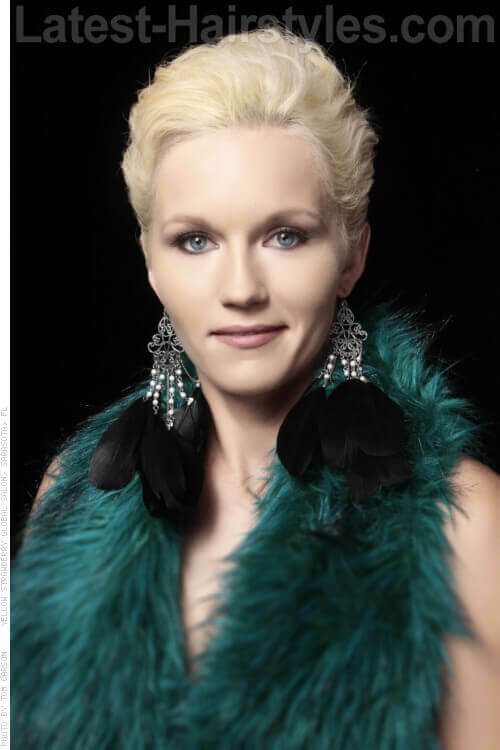 Don’t be afraid to go a little over the top when styling an asymmetrical haircut! 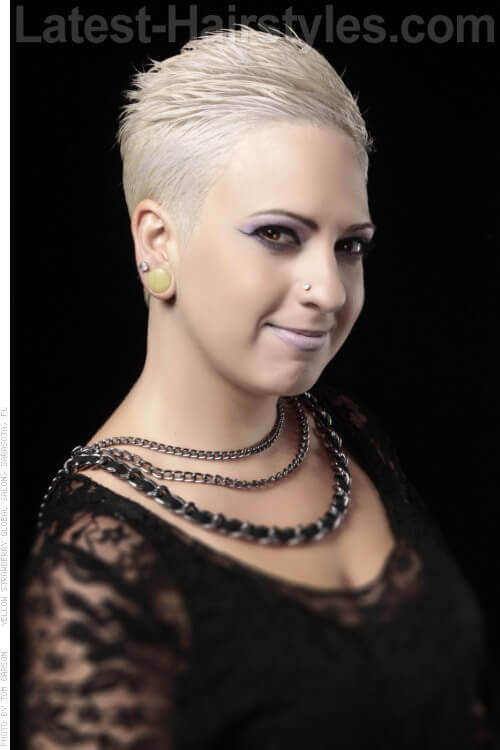 This is a great example of how to gracefully grow out an asymmetrical undercut. Keeping the tightness on the sides and being carefully blended to connect with the longer lengths of the opposite side and back makes for an edgy fun look for fall. On damp hair, apply a texture paste from roots to ends. Use a small flat brush to blow dry the hair away from the face. You may also need to add a pinch of pomade or wax for added separation or to calm stray pieces. Bumble & Bumble’s Texture would work perfectly for this look. It is a gel and a crème combined so the more dampness in the hair, the stronger the result. Just a pinch of this product will go a long way. This haircut is best for all face shapes of those attempting to grow out any type of undercut sides. A more dense hair type will benefit from the appearance of less fuss! We love this softer, less traditional approach to a bob this season. This particular blowout is all about movement. Section hair into larger sections and use a medium-sized round brush to blow dry each section in opposite directions. You may then use the brush to smooth out the face framing pieces if you decide to keep the look more classic. Purely Perfect’s Foundation Crème works wonders for a style like this. One to two pumps from roots to ends is just the right amount. You can also use a pea-sized amount on the finished product to add a little more texture to the movement. Any face shape will be complimented by this haircut. Wavier textures will benefit most from the ability to have such flexible movement when styled! 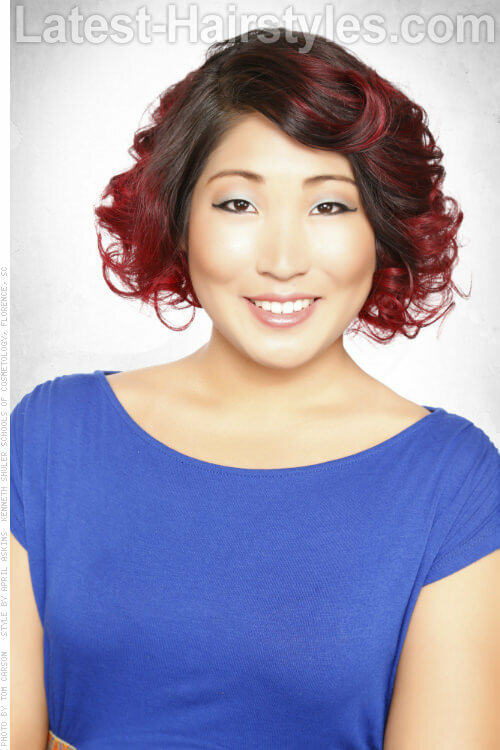 Ask your stylist about fun color palettes to compliment the sassiness of this haircut. 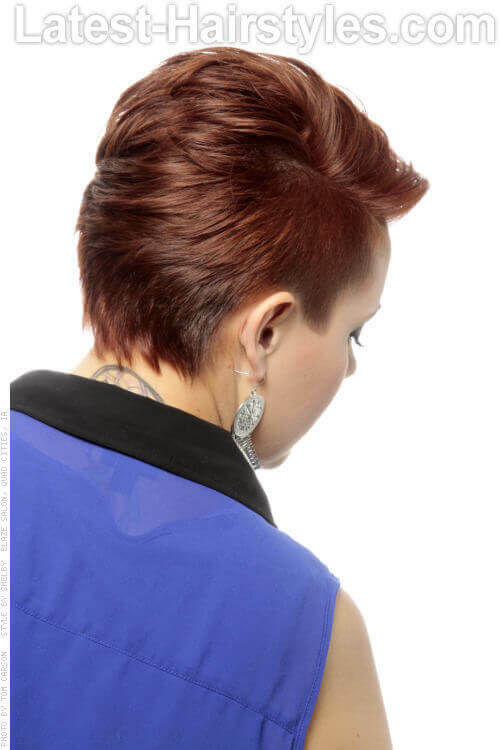 This haircut is perfect for someone looking to maintain a short haircut with the aspects of a longer length haircut. On damp hair, moderately spray a thickening from roots to ends. Don’t worry about overusing! Using your hands, blow dry until hair is about 85% dry. Finish drying using a paddle brush or flat brush to move hair in opposite directions, creating lift and movement. Bumble & Bumble’s Thickening Spray! The more the merrier with this particular finish! This is a great haircut and style for those with straighter hair textures. 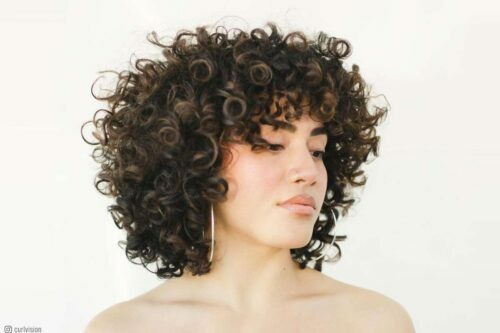 Curly hair might find that it is harder to achieve this exact look without the use of a flat iron. All face shapes work well with this! Don’t be afraid to try something new this season. 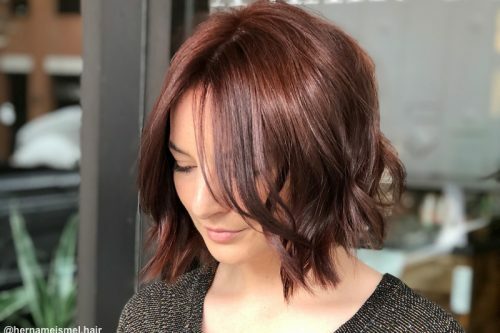 Fall is the perfect time to experiment with that short haircut you’ve always dreamed of or letting your true colors show (perhaps in lavender tones, or fire engine red)!